A year after the NHTSA awarded the Tesla Model S a Five-Star safety rating, and 11 months after the first fiery images appeared on YouTube in October 2013, I thought it might be interesting to take a look at the state of the nation down in Fremont, California: "One year on!" After rising from $35 on the 2nd of January, to $184 in September 2013, everything was going well for this innovative auto maker... until two Model S’ were involved in similar fiery accidents in October of the same year. After the first battery fire Tesla shares fell 6 percent in 24 hours, and dropped a further $7.64 the following day. Despite the fact that there were no injuries, the news soon went viral and at $173.31Tesla’s market value dropped by about $2.4 billion in two days. Deutsche Bank analyst Dan Galves summed up the prevailing sentiment at the time: "Investors will be concerned because electric cars represent a new technology with a high sensitivity to safety risks." After seeing the share price drop and suffering bad press, CEO Elon Musk went on the defensive, pointing out that his company’s cars, which scored high in crash testing and had never caused a single fatality, were getting called out for the wrong reasons. Notwithstanding all the accolades and laboratory testing, the safety of the vehicle design and construction can receive no better confirmation than, what the driver of the first crash vehicle described as: "A doomsday event that has now been tested, proving the design and engineering works." The odds of fire in a Model S, at roughly 1 in 8,000 vehicles, are five times lower than those of an average petrol powered car and, when a fire does occur, the actual combustion potential is comparatively small. This left many industry commentators speculating as to Musk’s next steps: Would he rely on the car’s inherent safety and the logic that these were freak accidents ... or would he take action? In a move that surprised many, Tesla responded proactively within weeks by providing an over-the-air software update to increase the default ground clearance of the Model S at highway speeds; substantially reducing the odds of a severe underbody impact. Still, understanding that perception can often turn into reality, Musk and the engineers at Tesla quietly went about seeing if they could improve the safety of the Model S even further. The resulting improvements, which Musk announced in March 2014 in a blog post on Medium, consist of a new titanium shield and multiple aluminium deflectors. Musk proudly proclaimed: "There is no safer car on the road than a Tesla. The addition of the underbody shields simply takes it a step further." These changes are intended to further reduce the risk of a fire resulting from an extremely high speed impact that tears the wheels off the car; as seen in the second Model S impact fire, which occurred last year in Mexico. This happened after the vehicle impacted a roundabout at 110 mph, destroying 15 feet of concrete curbwall and tearing off the left front wheel, then smashing through an eight foot high buttressed concrete wall on the other side of the road and tearing off the right front wheel, before crashing into a tree. Amazingly, the driver stepped out and walked away with no permanent injuries while a fire, again limited to the front section of the vehicle, started several minutes later. 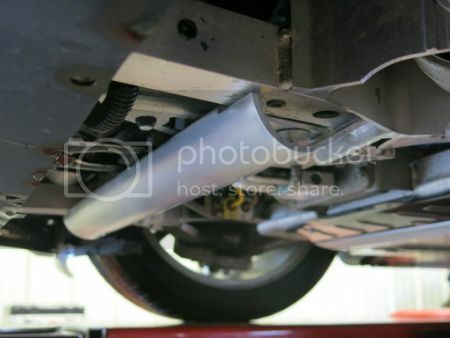 Tesla claim the new underbody shields will help prevent a fire even in such a scenario. 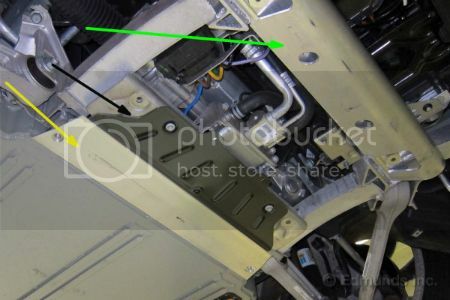 Starting with vehicle bodies manufactured from 6th March 2014, all cars have been equipped with the triple underbody shield, which Tesla service will also retrofit to existing cars, free of charge. Shields make the S’ underbody virtually impenetrable. The first of the three shields is a rounded, hollow aluminum bar that is designed to either deflect objects entirely or, in the case of a self-stabilizing, ultra high strength object, like a three ball steel tow hitch, absorb the impact and force it to pike upwards well forward of the battery pack. This pierces the plastic aeroshield and front trunk liner, but causes no damage that will affect safety, and the car remains in control and driveable before, during and after the impact. This is followed by a titanium plate, which has exceptionally high strength-to-weight properties and is commonly used in aerospace and military applications. The titanium plate prevents sensitive front underbody components from being damaged and aids in neutralizing the road debris. By now, most objects will have been deflected or crushed. However in the rare event that a piece of debris remains intact, Tesla added a third shield, which is a shallow angle, solid aluminium extrusion that further absorbs impact energy and provides another layer of deflection which finally causes the Model S to ramp up and over the object if it is incompressible and immovable. During the course of 152 tests, the shields prevented any damage from causing a fire or penetrating the existing quarter inch ballistic grade aluminium armour plate that already protects the battery pack: Even after severe debris impact, such as a hardened steel structure set in the ideal position for a piking event - essentially equivalent to driving a car at highway speed into a steel spear braced on the tarmac, the risk of a fire is minimal. At a time when the overall stock market is in the doldrums, Tesla shares are on a high. Since the beginning of 2014, they have risen 80%. Currently at $262, the stock is selling at close to its all-time high and has a market cap of $32 billion. With an order backlog of $226 million, and a production run rate of 1000 cars a week expected by the end of 2014, Tesla have a 30-week backlog! Or, viewing the situation from another perspective: At current prices, each car the company sells this year is valued at $1 million. Demonstrating market confidence, investors are paying far more for Tesla’s future promises than today’s performance by other luxury car manufacturers. By way of example: Daimler, the manufacturer of Mercedes-Benz, sold more than 2.5 million vehicles last year and has a market cap of about $85 billion. So, although it sells 70 times more vehicles than Tesla, its market cap is less than three times greater. Finally: Although not a fair comparison, I can’t help but compare GM’s Mary Barra’s handling of the ignition switch fiasco that DID cost lives, to Elon Musk’s proactive response to a problem that the NHTSA concluded did not present a hazardous trend! Fortune Magazine (Alex TaylorIII) – Is Tesla the ultimate momentum stock?